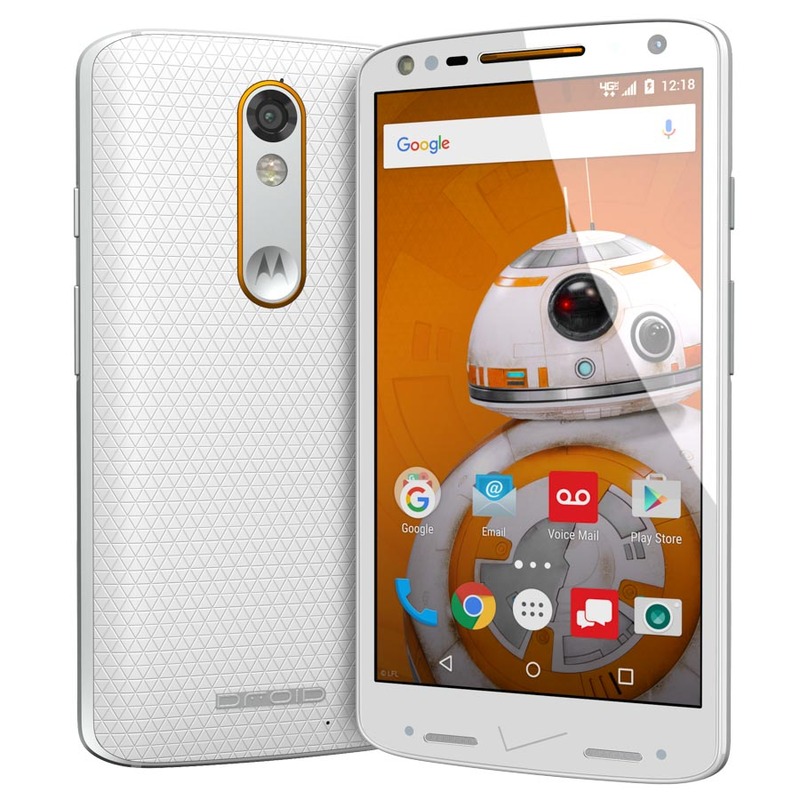 UPDATE 12/10: Verizon, this morning, told us that starting tomorrow, December 11, fans can create special Turbo 2 Star Wars edition phones using Moto Maker. Options will include “custom color palates, and backs based on the Poe Dameron, Rey, BB-8, a First Order Storm Trooper, and Kylo Ren characters.” Verizon will also launch an app to Google Play with exclusive wallpapers. UPDATE: We now have pictures of the Star Wars editions below. 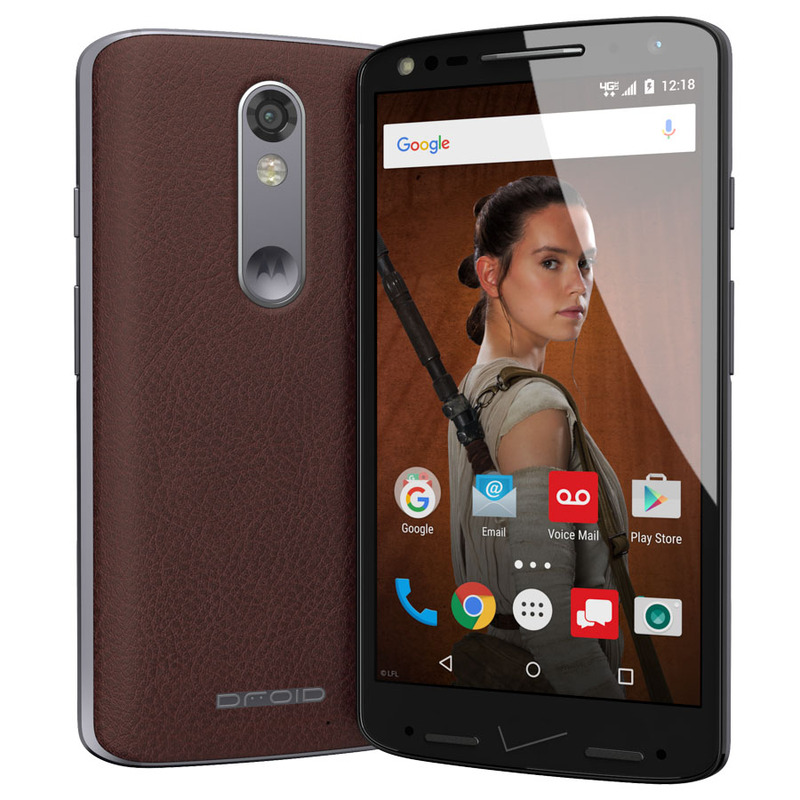 With Star Wars: The Force Awakens opening in days, it only makes sense that Verizon and Motorola would use their DROID licensing to its full potential. 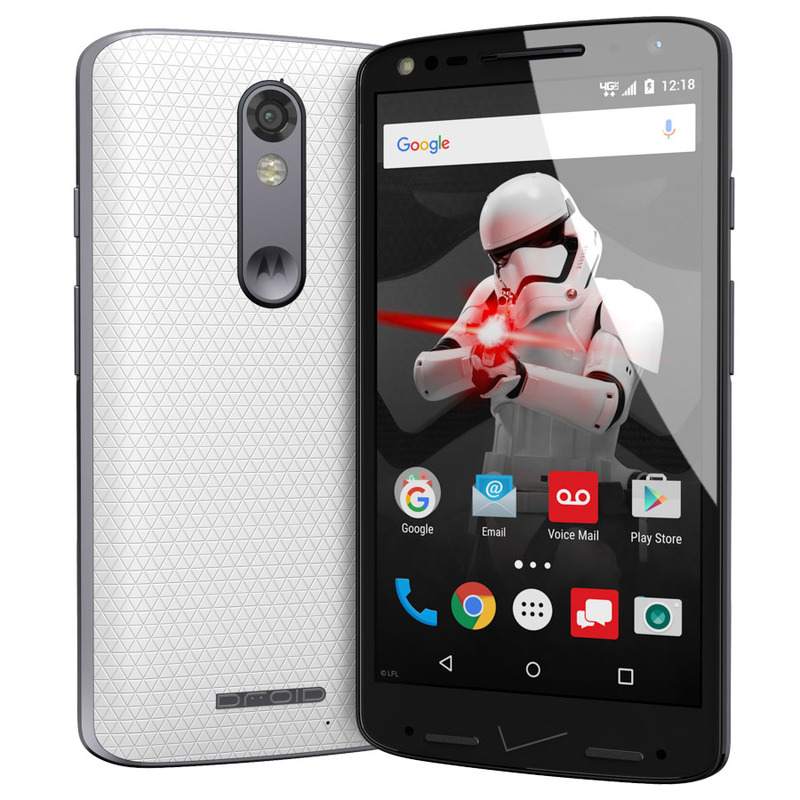 In the coming days, Verizon and Moto will launch DROID Turbo 2 “Star Wars Editions”with 5 Verizon-exclusive wallpapers. According to info being sent to Verizon reps, additional information on how Turbo 2 owners can get these 5 wallpapers will arrive “soon,” more than likely through the @DroidLanding Twitter account. At this time, we aren’t sure if they will all be made available to current Turbo 2 owners or if this will only be a special option through new orders in Moto Maker. The image below makes it sounds like this could be a Moto Maker deal, though wallpapers aren’t currently a part of the Turbo 2’s customization experience. 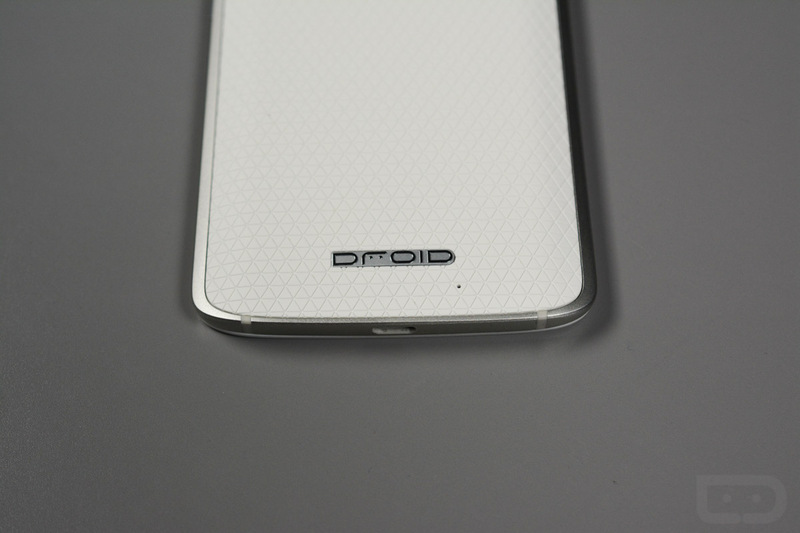 We’ll update this as we have more, but for now, be on the lookout for @DroidLanding to go active again. CONTINUED UPDATE: Verizon also announced the following Star Wars-related promotions, which include ways for you (the fan) to see Star Wars: The Force Awakens over its opening weekend. On Monday, 12/14, Verizon presents the official livestream from the red carpet at the world premiere of the film and gives its customers an exclusive chance to get their questions answered by the all-star cast.The livestream will be hosted at StarWars.com starting at 8:30 pm ET. Verizon customers can submit questions for cast members via Twitter using #TheForceAwakens and tagging @Verizon. Our red carpet correspondents will choose select questions and ask them of the stars as they make their way down the carpet. Verizon customers can enter for a chance to win one of 12,000 opening-weekend tickets to the most anticipated movie of the year by participating in “Theory Wars” at TheoryWars.com. The tongue-in-cheek movie theory generator is a fun way to get in on the action and share theories with their friends on social media. 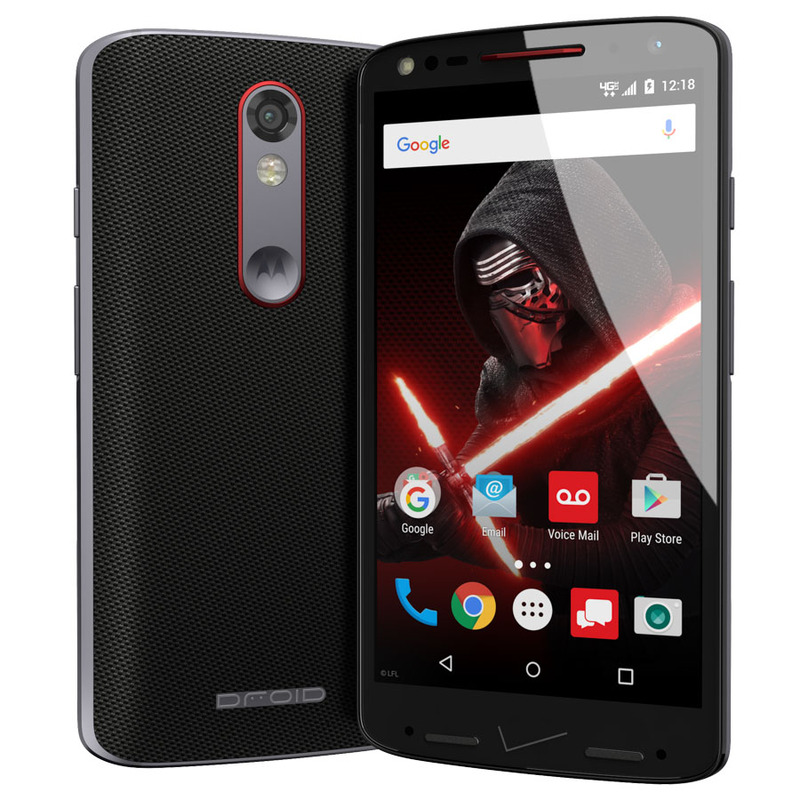 Available tomorrow, Verizon will enable fans to create their own DROID Turbo 2 Star Wars edition by using the Moto Maker customization tool —in-store or online. 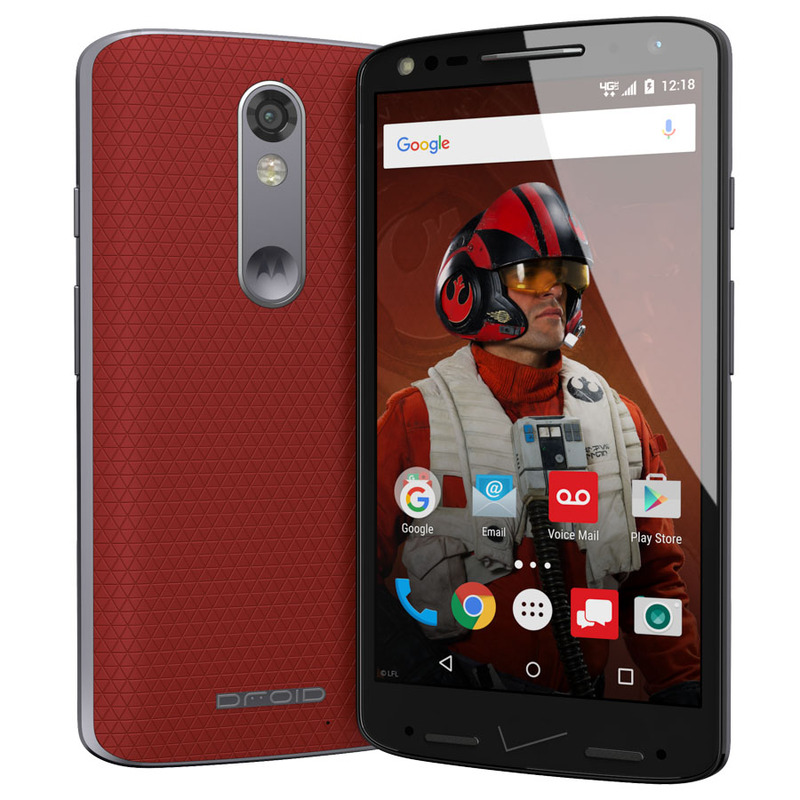 Moto Maker now offers custom color palates and backs based on the Poe Dameron, Rey, BB-8, a First Order Storm Trooper and Kylo Ren characters. To customize the phones even further, Star Wars character wallpaper is available from an exclusive Google Play app. Here are pictures of the special edition models.